Wonder Woman is a hero to the world, but is she a hero in the kitchen? We will never no for sure, but she can at least help you. 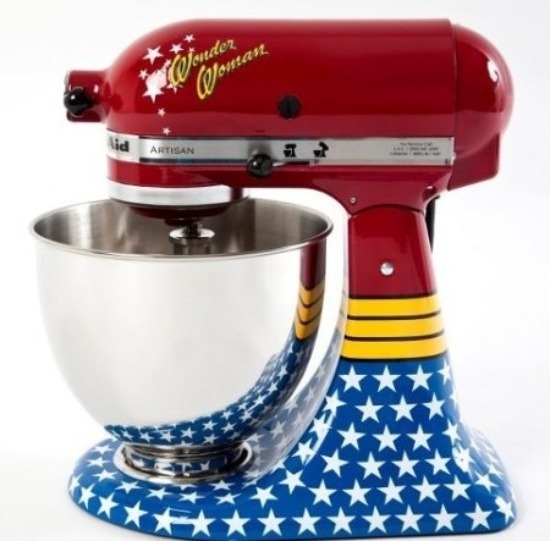 Kitchen Aid has this really cool Wonder Woman themed blender/mixer that makes an awesome conversation piece for your kitchen. Unfortunately this might be a little too difficult to get for a last minute gift, as its only available in Brazil. But if your seeing a Wonder Woman fan after the holidays…. 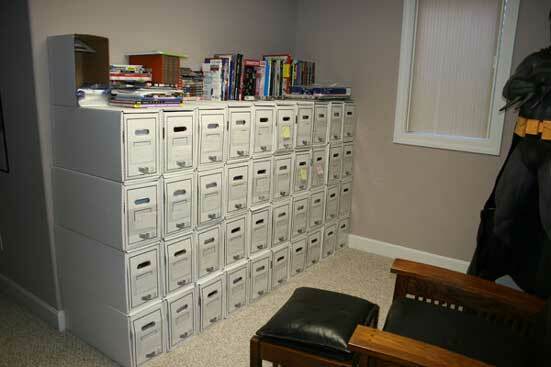 Comic book storage can not only be ugly, but it can be difficult. Having a stack of long boxes to sort through to find Dazzler #23 can take forever. But with some of the more elaborate comic book drawer boxes its a lot easier. These boxes are designed like filing cabinets, so you can pull out the drawer to find something you’ve filed away. This makes finding comics a lot easier, something that your comic collector friend very grateful for. If you know someone who has been enjoying The Walking Dead on AMC, this is a great reminder to them of how much even more awesome the original comics by Robert Kirkman are. 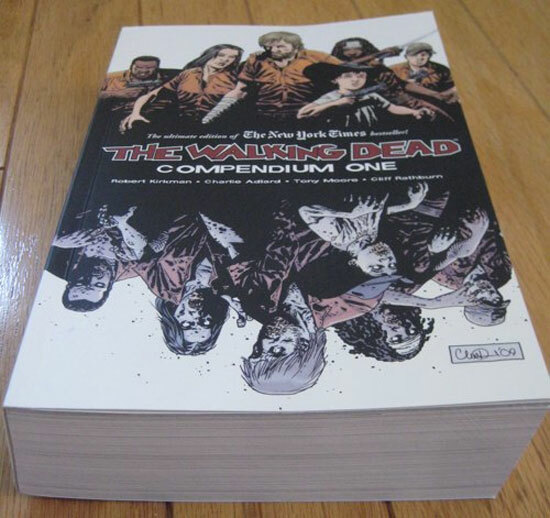 The Walking Dead Compendium Volume 1 collects the first 48 issues of the comics series in a handy single volume. This is a huge book; imagine a phone book filled with comics. You doubt me? Amazon weighs this bad boy in at 5.3 pounds. That’s about the average weight of a Pomeranian, and this book is a whole lot more fun. As the whole entertainment industry is moving towards digital distribution, comics are no exception. If your looking for a big fancy gift, get that special someone an eReader. 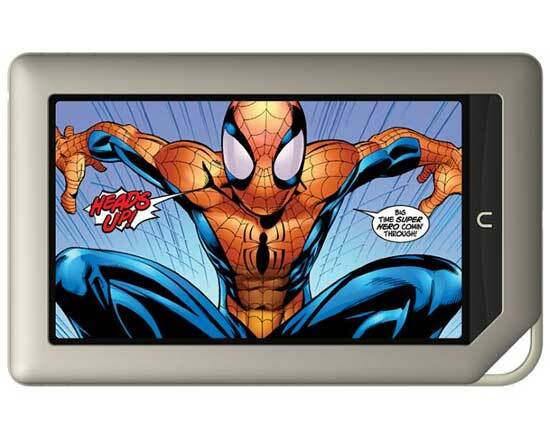 Whether it’s an iPad, Barnes and Noble’s Nook or Amazon’s Kindle, they will be able to enjoy comics–digitally. The one thing to keep in mind is that this is kind of a gateway present…buy purchasing one of these, your committing the recipient to the format and that they will have to purchase their content. But if they really want it, go for it. Blogger Youseph Tanha has provided comics fans with not only a cheap way to show off some of our favorite issues but an inexpensive way to make a comic book gift for your cooler friends and family. It’s simple; frame some comics! Ikea’s Nyttja photo frames cost $1.99 and are the perfect size for issues. 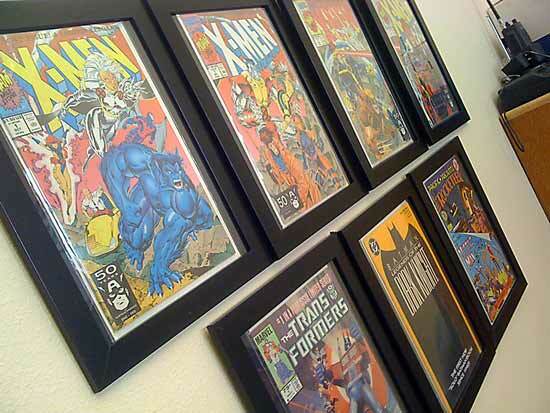 Since your picking out comics to give as a wall hanging, they don’t have to be OMG COLLECTOR ~! comics; just ones with cool covers. And the cheap bins at your local comics shop are stocked with something with a nice cover, done by an artist or with characters your gift recipient likes. It’s that easy…check out Youseph’s website for some more pictures! 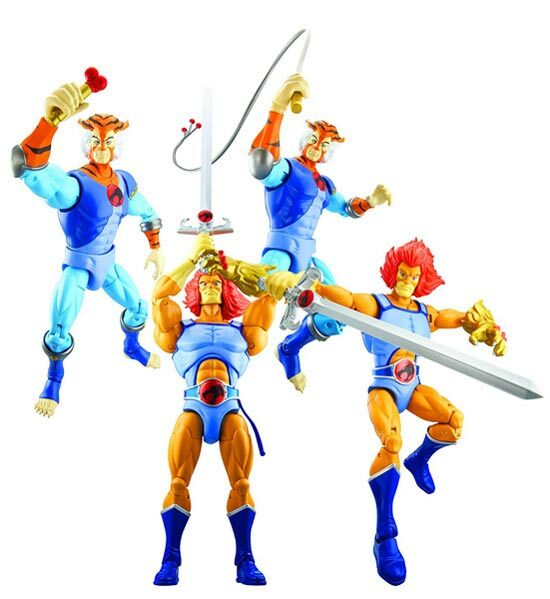 Not only is Bandai making the current style of Thundercats, but they’re releasing oversized and super articulated versions of the classic characters, starting with Lion-O and Tygra (the one Thundercat that always eluded me as a child)! They’re super posable and would make any office awesome. 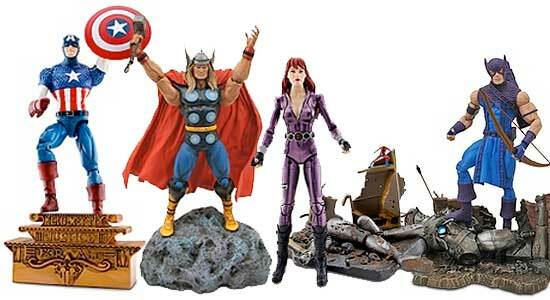 They come with weapons, including Tygra’s whip, the Sword of Omens (in two sizes) and the gauntlet! Best of all, they’re at the same scale of the original toys so they won’t look too out of place with the rest of your Thundercats collection! The new The Looney Toons Show might just be the best adult animated series on television these days. The crew over at Warner Brothers Animation took a classic property, mildly twisted it and have gold on their hands. Gold I tell you! There are two video volumes of the series that you can purchase and both are recommended. This newest incarnation features Bugs Bunny and Daffy Duck primarily, as the two are roommates in Bugs’ suburban Los Angeles home. There’s a definite bit of an Odd Couple dynamic between the two of them that works. The pair interacts with the rest of their animated pals throughout the city, including Speedy Gonzales who operates the local pizzeria, their extremely inconsiderate neighbor Yosemite Sam, and their really whiny and weird pal Porky. The humor of this show is a lot like that of the Shrek and Pixar films, where its funny for kids but there is a lot of sophisticated humor. A perfect example of that is the Bugs-Lola Bunny-Daffy Duck love triangle. 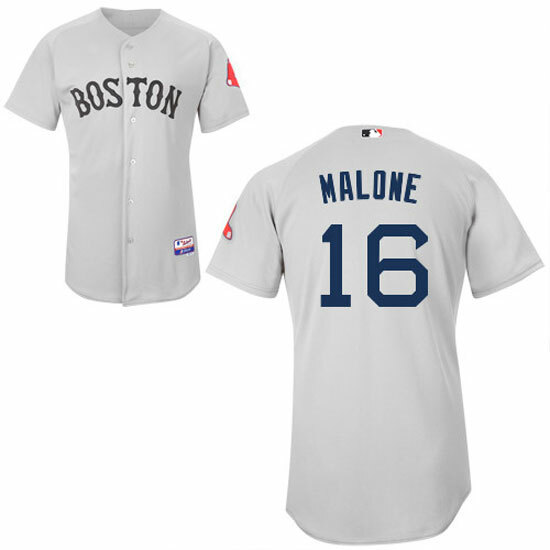 So yes, get this for people as a gift. Whether you buy them the DVDs, or send them a single episode from iTunes or Amazon digitally. They will really thank you for it. Batman: Arkham City is this year’s must have video game for comics and super hero fans. It’s a more elaborate sequel to Arkahm Asylum, and you get to guide the Dark Knight and his allies through Gotham City in an epic war against the Joker and company.